LORD MORROW, CULTURE WARRIOR!!!!!!! | AMERICAPHILE RESURGENT!!! ← NEST OF LESBIANS GRANTS VISAS TO TERRORISTS & ORDERS ARREST OF HUMAN RIGHTS ACTIVIST!!!! 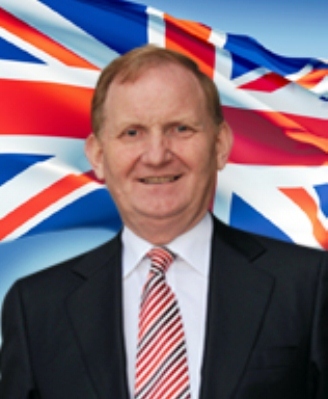 THE DUP’S MAURICE MORROW IS STANDING TALL AGAINST THOSE WHO ARE ABUSING THE LONG SUFFERING PEOPLE ON DUNGANNON COUNCIL IN LEPRECHAUN!!!!!!! DUP MLA Maurice Morrow had accused the council of sending a very bad signal for the Unionist community, after it emerged that the receptionist was greeting callers with “Dia Duit” [BWAHAHAHAH!!!!],…. …Lord Morrow said he had been contacted by members of the public who had been answered in [LEPRECHAUN] when contacting the council. I immediately contacted the council for a response and it appears a member of staff took the liberty of addressing callers in Irish, which of course, is not council policy. “I have been assured this matter has been duly noted. However, this sort of behaviour throws out a very bad signal for the Unionist/Protestant community, who represent over 40% of the borough population. WHY HASN’T THIS GURU MAGGOT RECEPTIONIST BEEN NAMED?!?!? CAN THE LONGSUFFERING PEOPLE OF BRITISH ULSTÈR, ALREADY SEVERELY TRAUMATIZED BY LAST YEAR’S HORRIFIC ASSAULT ON THEIR CULTURE, KNOW FOR CERTAIN THAT THIS ABUSIVE CIVIL SERVANT HAS BEEN PERMANENTLY SACKED?!?!? Ask the people of British Ulstér whether or not they think his Lordhip is a traitor. As far as I know Dingannon is an Irish name bwaaaaaaaaaah!! !